"Do you like to write?" asked Al Young. I do not remember what I said, but I do remember how I felt. There was something like an electrical shock that went through my whole inner body. It hurt like countless microscopic knives jabbing me at the cellular level. I felt my face wince. I tried to hide the appearance of pain, but I doubt I succeeded. Why can I not feel my own pain? Have I indulged in some natural anesthetic and become complacent? Am I missing something? Some down side to my way of dealing with these changes that are taking place in my nervous system? When you died, I was four and a half and you were almost exactly my age now, 49 and a half. I remember when a tall strange woman told me, "Your grandpa died." In that moment, I knew you were out of pain, and here is the part that seems strange to me, Grandpa, in that moment, I was out of pain with you. The adults were moving around in the thick air like distant giants. The turquoise green of the walls and carpets grew more turquoise green. The brown wooden paneling grew more maple syrup wet brown. I could not have told you then, but now, looking back I think that is when my inner sky was opened and that is when I became a catcher in the realm unseen. I think I caught you disappearing into the sky. I think I caught a glimpse of the solid becoming void, my body becoming breath. Grandpa, I want to tell you about something that pains me deeply. You see, my wife and I were unable to have children. You might not understand. Children seemed to come easily for you and grandma. Sometimes you only realize how much you want to participate in something so basic in life when it is denied you. But I am telling you now, not because of the pain of childlessness. I am telling you because of what happened to me when I had cried long enough. I learned about the space beyond pain again, the space I had known that night when they told me you had died. Now I go to that space whenever I choose. I know what you are going to say. I know what you are saying. In your flesh, you were wishing you had not gone so soon. You were wishing you could have been there for your sixteen year old son who was driving that car through the stop sign in that strange place in Mississippi that night in 1965. You are wishing you could have been there alive for your daughter who at age 7 fell under your body, your bloody body that she had to push off of her since the force of the wreck had forced her under your bloody remains. You were wishing you could have been there, breathing, seeing, attending. And here I am in the flesh, alive, breathing, not dead yet, and strangely attracted to what will certainly come on edge of my days on earth. You died prematurely: A premature crown opening. Ok, I see that the time is coming when I can help to heal the wounds of your children simply by being present. That is all. Just be present at the next family gathering, a wedding of the daughter of your son who was driving that night in Mississippi in Christmas, 1965. There is a part of me that would rather be absent like you, one with the sky. But ok grandfather sky, I will be present in this fleshy body, still alive, heart still beating red blood through electric arteries and capillaries just beneath the unbroken skin that meets the naked eye. "In April of 1965 I enjoyed the first of a remarkable and continuing series of (non-drug-induced) mystical experiences that I consider, thus far, to be the high points of my life. I no longer feel compelled, as I once did, to speak of these experiences directly. I have learned quite painfully that most people are not especially eager to hear of such things, and many, in fact, feel threatened of frightened by them." "For me the writing of poetry is a spiritual activity. Poetry should be a music of love: song, a dance, the joyously heartbreaking flight of the human spirit through inner and outer space in search of itself." Al Young was born May 31, 1939, at Ocean Springs, Mississippi. He grew up near there and in Detroit. Thank you bewell for sharing yourself so fearlessly. I am on a roll here. Got to keep going. How did Al Young's poetry so capture my attention? It takes a lot for a poet to get my attention. 1. In '95 I wrote a story featuring magical peeled baby carrots and took it to the IU Writer's Workshop where my reader/mentor was Al Young. But I did not read any of his poetry. 2. Twelve years later, in '07 I made a pilgrimage to the peeled baby carrot processing plant in Lamont, California where they process the carrots like the ones in my story. While I was in the area, I hung out in the local public library, and by the front doors of the library, lo and behold there was a big poster announcing that the California poet laureate was coming to town for reading: that poet was Al Young. So then I started looking for some of his poetry. I was down in Mississippi visiting relatives there in '96, and I think that is the first time learned about the other driver in the crash that killed Grandpa -- he went to jail that night. The crash was not his fault, but he was black. He was "driving while black" in Mississippi in 1965 when racial tensions were high. The police charged him with something, maybe it was driving drunk, or excessive speed, but that was not the real reason he went to jail. So I am told by my Mississippi uncle. When I put myself in the position of the man in jail it is outrageous. Word has it that it was not his car. He was working at a car repair garage. He was delivering the repaired car to the owner. He had done nothing wrong. He had witnessed the death of a man in the other car. He witnessed the distress of the children in the car. He ended up in jail. When I reflect on that night -- grandpa dead, the other driver in jail, and me awake in an expanded consciousness -- I think I know something more of why I became attuned to Al Young. I think my expanded soul met his expanded soul that night. According to the dedication in the book I am reading now, his mother was born Pachuta, Mississippi, which is about an hours drive from where Grandpa died. He knew about being black in Mississippi, and he had moved on. He was living out in California, a young poet, having mystical experiences, writing out of those experiences. Al Young wrote: "...since the mid-sixties I have been nourished by these intense and blissful interludes and, hence, have drawn much of my inspiration to write and many of my personal notions about poetics from what could be termed religious sources. I am not, of course, referring to church religion. Sometimes there is a vastness I feel growing within me that I could explore and delight in forever." the Mafia don't think twice. As it relates to me now, when I teach yoga in jail each week, it is working out of the compassion I learned reflecting on the events of that night. Thank you for your generosity, my friend! Hey, Cosmic, my friend in California! On a California note, Gov. Arnold Schwarzenegger chose Al Young in part because he liked that prison protest poem. In an interview, Young reported the governor had memorized those particular stanzas. "I follow hip-hop and I, too, am for prison reform," he explained in his thick accent. Deborah Robinson, a writer from Fayetteville, Arkansas recalls the odd synchronicity that brought Al Young to her attention. One day she noticed that a book on her shelf was teetering close to the edge and nearly falling. She took the book down and the name of the novelist flashed through her mind "like a lightning bolt" -- it was the same name as a poet who was doing a public reading in Fayetteville that very evening: "Al Young." She wondered if it could be the same man and felt an "electric current" buzzing up her spine. She recalled the first time she had seen his name. It was about a year earlier. She was flipping through a book of interviews with authors. The phrase "psychic" caught her attention. Young told about picking up a hitchhiker and being astonished to discover that she had read a novel he had written. It so happened that the main character in the novel was a "psychic housekeeper" and Robinson was working on a novel about a psychic clown. The book titled Seduction By Light was out of-print and regarded as hard-to-find, but Robinson happened to find a copy in a used book store. She bought it, put it on her shelf, and forgot about it until that day when it was both teetering on the edge, and when an "Al Young" was in Fayetteville about to do a reading. What are the odds? She took the book to the reading and the poet confirmed that he was the same Al Young who wrote Seduction by Light. That encounter was a turning point in Deborah Robinson's self-concept. She wrote: "Any doubts that I�d had about psychic sensitivity were dispelled by the Al Young incident. I now knew (and perhaps more importantly, I believed) something was going on." She now writes as DL Zeda. I think of Al Young as a flier in the realm of the spirit. The physical synchronicity was a sign of a spiritual reality. I am a catcher. I pick up energies of fliers. For years, I had my eye on the carrot factory from a distance. It was a mental focus. I thought it might be fun/funny to go there sometime. Why did I choose that time to actually go? In hindsight, I suspect my inner motivation to go then had to do with a subconscious awareness that Al Young was coming to town. A kind of distant vision. In my conscious mind, I went to see the carrot factory, but my subconscious motive was to show my conscious mind the Al Young poster and all that it implied about him and me in the spirit realm. Al Young wanted me to drop the whole introductory scene in my work of fiction. Like scaffolding on a finished building, he said, you take it down. I found that difficult to stomach. The scene had actually happened and to my way of thinking, it was so amazing. He saw it differently. Recently someone told me that scene would work better told as non-fiction. Ok, here goes. This is what happened for real! I was writing about a former friend's near-death experience. He was electrocuted, or as he put it, "my insides was fried." He was in a ditch up to his ankles in mud and water, when a backhoe hit an underground power line. The shock threw him out of his boots, and as his soul rose up, he looked down on his body on the ground shaking. His soul went up to heaven where he met an angel who told him he was going back down. I had met the man under unusual circumstances. He knocked on the door and introduced himself. We had just moved into the house. He wanted to meet the new tenants. He had known and liked the people who lived there many years before when he was a little boy. I was new to the area -- it was DC -- and being a curious sociology major in college, hungry for a little mischief, I wanted someone to show me around the underside of the neighborhood, someone to expose me to street corner society -- the most underclass bars, the places locals to buy pot -- so I befriended him. His name was McCall. Fast forward ten years: I was recreating in "fiction" that first time McCall came to the door. I was specifically working on the phrasing of his knocking on the door, or ringing the doorbell. Just then -- IN REAL LIFE -- someone knocked on the door. The timing was immediately striking. I looked out the window and saw that it was, like McCall at his first visit, a black man I had never seen before. I opened the door and when he started to introduce himself, I smelled alcohol -- again, it was like McCall. In my mind, the next question was obvious -- had this man, Jeffery was his name... had he been through a near-death experience like McCall. Jeffery told me about a chronic disease that he was suffering from, and how he needed money to get his prescription refilled. That gave me an opening to asked whether the disease had ever brought him close to dying. After a stunned pause, he said yes, he had been through a "near-death experience" (His words: I had been careful not to use the phrase myself). It happened in a hospital during an operation. Instead of telling me how it felt, Jeffery started asking me questions: "Have you ever seen trees with golden apples? Have you ever seen minotaurs?" I said no. There was a look of panic in his eyes. He said he did not want to talk about it any more. Kathy asked what was the name of the man that came to the door. When I told her it was Jeffery, she became indignant. She had suspected as much. She knew him. He had come to her door repeatedly after dark to ask for money. He tried to sell wooden dishes and other things. It frightened and annoyed her. It was awkward between Kathy and me in that moment. I was loving the synchroncity, and she was finding it annoying. Painfully typical. I almost always like my syncronicity stories lot more than the people listening. Honestly, it is the same with me listening to other peoples synchronicity stories. Especially when they get excited, I tend to go downbeat. I am rarely able able to agree with other people on how to explain syncronicities. Kathy, in a dismissive tone said, "Coinkidinks happen." I was impressed by her a cool phrasing. Looking back over ten years later now, I have what is, for me, a new theory about what happened. It had to do with a subtile-body energy triangle between Jeffery, Kathy and me. Jeffery was in a relationship with Kathy, not a friendly relationship, not a close one, but a relationship nevertheless. When Kathy read my story, she already associated my McCall character with Jeffery at some level of consciousness. For his part, Jeffery picked up the vibration of the story in Kathy's mind. Since I too was sharing the same story in my mind, and since Kathy was my reader, the same vibration was in my mind that day of my revision work. I remember during the revision I was very relaxed and focused, almost in a trance state. I now think I was sending out an energetic signal like a radio signal, and Jeffery was picking it up. Mentally, my writing, and sending, made me the "flier," and Jeffery's receptivity, and responsiveness made him the "catcher." My critical mind protests. Isn't it possible that Jeffery saw you and Kathy together? Yes. And isn't it further possible that he saw you going into your house, and so he knew where you lived? Well, that is less likely. Kathy and I lived only a 15 minutes walk apart, but in two very different neighborhoods, hers relatively poor and mainly black, mine middle class, and almost all white. Usually there was not much foot traffic between the two areas, and I generally drove back and forth. But, yes, it is possible Jeffery recognized me at my house as being the guy that visited Kathy. That said, there is still the uncanny timing, and the fact of the alcohol on his breath, and the fact of the near-death experience. I cannot prove that Jeffery came to my house at that time because I was sending an energetic signal and he was receiving the signal, but looking back, and understanding how that sort of thing works, it is my own best explanation of the synchronicity. Back to Al Young. I sense that like Kathy, or anybody else besides me -- like you the reader? -- he was naturally less thrilled by the synchronicity than I was. That is one reason he advised me to drop that part of the story... perhaps. But twelve years after that physical face to face meeting with Al Young, when I was in Lamont, California, at the carrot factory town, looking into Al Young's photographed eyes, another explanation came to mind. Al Young had a sense that in my life journey I would need to let go of one energetic resonance to move on to another energetic resonance, specifically his resonance. He and Jeffery, and McCall were at two different levels of consciousness and Al Young wanted me to move on to his less drug dependent, less addictive way of life. Looking into Al Young's eyes in carrot land, I was Jeffery's position -- I was the "catcher" following the energetic resonance where it led me (without drugs). It led me to Al Young the writer and the energetic sender, the "flier." Samyama leads to siddis. Yes, upon reflection and study, tonight I have a clear sense that I was doing a kind of samyama on the carrot plant and then when the Al Young visit was scheduled, I received a telepathic clue that something of particular interest to me was going on. I responded to that telepathic clue with a particular sense of urgency to make a pilgrimage to the carrot plant. I was rewarded with the encounter with Al Young's poster, and then his poetry, and all that went with it. & go sailing thru beds & minds"
From Song Turning Back Into Itself, Fly Away Song (full poem quoted in earlier post). To really make an impact on me, a poem has to do what it says. That is what Al Young's Song 7, Fly Away Song did. Like it says, it went "sailing thru beds & minds..."
The night after I gazed into Al Young's poster eyes, I dreamed of Annie, Soul Flares Annie, Letters From an Open Heart Annie. In the dream I did not see her physically, or touch her. I felt her presence in her room. Then I heard the voice of her mother calling: "Annie. Are you praying?" I saw that I was naked, and I felt I needed to leave. I struggled to put on my clothes and woke up. After I gazed into Al Young's poster eyes, I wanted to read some of his poetry. In the course of the following days starting the next day, I read his poetry in public libraries in San Diego, Riverside, Sacramento and LA. I bought his latest book of poems in a book store in Long Beach. I was all about reading Al Young poetry, but nothing seemed to stick, nothing in me said "this is it," this is the poem that fits what is happening to me, although I probably did read Song Turning Back Into Itself in San Diego. I checked yesterday, and they confirmed that they have a copy of it in their library. A week after I gazed into Al Young's poster eyes, I was still on the Al Young poetry search when I opened my email. In my email in-box I saw the latest Letters From An Open Heart from Annie, the presence from that oh so memorable dream, Annie. And the poem featured in that open hearted, soul flares letter was Song Turning Back Into Itself 7, Fly Away Song by Al Young. The poem had "flown through beds and minds!" I emailed Annie and asked how she chose that poem. On Friday she was feeling blue, and she found an anthology of poetry and visual art. The book was property of the owner of the house she was renting. She flipped it open and Fly Away Song just jumped out at her. It fit her situation in life. She wrote Al Young to ask permission to re-print it, and he said yes, "go for it." Al Young's poetry tour in Kern County carrot land had nothing to do with me. All I did was show up and take notice of the publicity poster. Annie's choice of an Al Young poem had nothing to do with me. All I did was receive it when it so happened she liked it enough to reprint it. Amazing how other people following their own bliss can give me such depth of meaning when I am receptive, when I am receptive there are signs of the mystery of unity. Sometimes you read a poem, sometimes the poem reads you, sometimes we say more than we know, sometimes we know more than we say. It was April 2, 2007 in Sacramento. Five days had passed since the arrival of my poem treasure, the Al Young Fly Away Song. I had a great surprise. I saw a man who I had met before -- it had been three weeks earlier, a thousand miles away in Juarez, Mexico. In Juarez, I had been standing by the front doors of a cathedral when this man approached me looking for a "coyote" -- someone to help him cross the boarder to the US without legal permission. I told him I could not help him find a coyote. I said I was there to pray. So he asked me to pray for him. We closed our eyes and I did what I called "holding in the light." I concentrated on being energetically present with him for his benefit. In the Sacremento bus station, we both did a double-take, and it took a moment to overcome disbelief: Are you? Could it be? When we accepted what was right before our eyes, we both laughed out loud. An hour later I was in a counselor's office at a homeless shelter crying. It was all too beautiful not to be in tears. That night I was on the bus with my new friend from Mexico accompanying him on the last leg of his trip back to the ranch where he had a job waiting. I was on a sixty day "discovery pass" so I was free to travel with him at no extra expense. We traveled mostly in silence. As the sun rose on the magnificent Wyoming mountains, he pointed to a herd of sheep on a steep slope in the distance, and a man on a horse moving with the sheep. He said that is what he does. In Rock Springs Wyoming his employer picked him up at the bus station, and I was in "alone and saddened, which is to say, joyous." I went to the community college in Rock Springs to re-read the Al Young poem. What had happened between me and the man from the Juarez cathedral? Nothing to defy laws of nature. It had taken three attempts to get across the boarder. The first two times the boarder patrol sent him back. Each time he walked farther into the desert, and on the third run he made it. As for the odds of meeting me again, those odds are reduced by it happening in the bus station. Not all that many people ride bus. Nevertheless, it had the feel of being a sign of a connection beyond the visible. It felt like it was the energy of that prayer bringing us together again. It was an energy not bound by time or space, but also an energy that tuned our bodies to a same frequency. 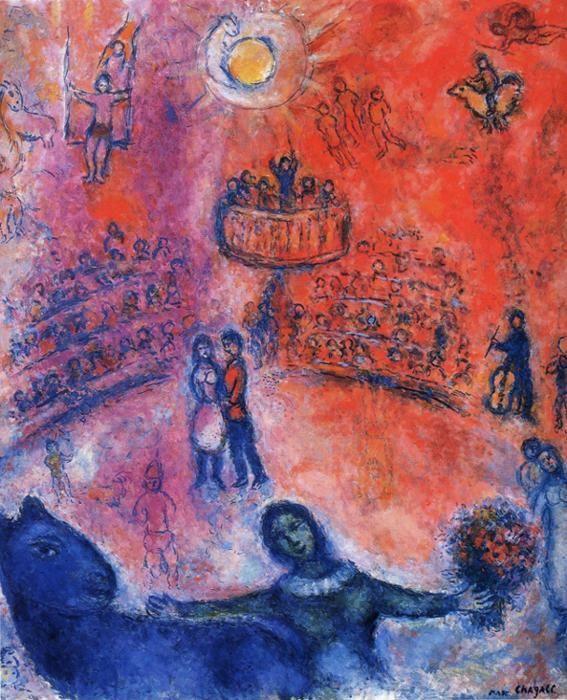 Metaphorically Chagall's flying chickens expressed that "smthg different in air....."
In those days, I was consciously in love with flying the old fashioned way -- the way they flew before there were airplanes, before the belief in science made flying in the realm of the spirit unbelievable. "Giving is very important... But receiving is just as important because by receiving we reveal to the giver that they have gifts to offer. we say, "Thank you, you give me hope; thank you, you allowed me to realize my dream," we make givers aware of their unique and precious gifts." That day I received many gifts. The gift of unexpected friendship, the gift of a poem of flying, the gift of Chagall's chickens, and I was so very grateful. Looking back, I am seeing that angel icon as an image of the energy body. The wings are the fire and light of prana moving in the air of the loving silent realm of radiant mystical unity. I see Al Young, Henri Nouwen and Yogani as fliers. "When I saw the Rodleighs (trapeze act) for the first time, I said, (Oh) I missed my vocation! I should have become a flier. On the other hand my body is as left, and unpractical, and unhandy as possible. But in theory at last, spiritually, I realize I always have liked to be a flier..."
And that dream was a prelude to a sleep paralysis episode where I became convinced I had died physically and become one in heavenly flight with a angel. When I came back to embodied life, my neurobiology was purified -- I was in a state of complete bliss and silence and radiant "lightness of air." But it only lasted about twenty minutes, and it was entirely passive. I had no idea yet that there were active practices to help realize that state in an ongoing way. In 2007, on my sixty day bus pass, I visited the Nouwen archive in Toronto, Canada, and had the joy of paging through his "Angel books," all hand written. But I still had not seen the film or heard Nouwen express his sense of being a spiritual "flier." That was still to come in 2010. Having seen the film, it seems there is great congruence between Al Young's Fly Away Song and Henri Nouwen's trapeze flight metaphor. I think of both writers as fliers who to some extent admitted publicly that they saw their own journey in that way. With kechari do we "fly though inner space?" The greatest part of the kechari experience is the rise of ecstatic bliss. The senses are naturally drawn in and it is like we are flying inside. Our inner dimensions are vast, and we soar through them in a constant reverie." Young is poetic, Nouwen dramatic, Yogani is practical. Yogani shows how to. Incidentally, Henri Nouwen drove in his car down from Kansas to Selma, Alabama in 1965 to march with Martin Luther King. In an essay he wrote about the trip, and mentioned that after he picked up a hitch-hiker who happened to be black, he got pulled over by the police. Reading his essay I learned about the widespread racial injustice in traffic enforcement in that region in those days when I was four and a half. I love these stories, Be. Could read them all day. Thank you so much for your openness and generosity in sharing them. Thank you so much, cosmic. I tell these stories to affirm that in the "flight through inner space," inner and outer are united in mysterious ways. The second week in January, I staged my own death. Creatively of course. It was a writing assignment. We wrote our own obituaries. I set my death on the day of writing the obituary. It was a Tuesday. I died suddenly in an auto accident (a throwback to my grandfather's sudden death in an auto accident). There was a viewing that Thursday, and on Saturday morning there was a sprinkling of the ashes in the Elkhart river. I did not set a time for the cremation, but now I think of it being after nightfall Friday or Saturday before daybreak -- That is when it happened. It was before daybreak Saturday when I awoke suddenly and, in the paralysis of sleep, burst into flame, a flame that dissolved my sense of being in a physical body, a flame that lifted my soul up in sheer pleasure of being, a flame that showed me what it is to witness from a place of supreme detachment and bliss. It was not a hot flame; rather, it was a combination of three sensations: a vibration of the inner body, a sense of a bright flash of light within, and an inner sound of rushing wind. It was enough to convince me that my moment of physical death had actually come. At first there was utter terror. Reflexively there was an whole hearted attempt to sit up and flail and yell. Nothing happened, so I surrendered and in the surrender terror changed to the glory of flight, inward, upward flight. That was my flight school, my school of love for the One beyond knowing, my school of surrender, my school of witness consciousness, my school of being present in the present. It happened Saturday morning before dawn, January 14, 1995 in Elkhart, Indiana in bed with my lover, in the bed where we had intended to conceive a child and failed and failed and failed. It was the bed were she bled blood of failed conception and we cried hot tears of sorrow month after month. Meanwhile in Toronto, Canada Henri Nouwen had a film that was forthcoming. In the film, Angels Over the Net, he compared the flight of a trapeze artist to dying well. Dying well is flying, and throwing in a flip or two and then reaching out and trusting the catcher. You cannot catch the catcher, you have to trust, trust, trust. That is dying well, he said, but that is also living well -- being present in the present with a sense of trust is a glimpse of eternity or the kingdom of heaven or bliss or beauty "whatever you want to call it" he said. Henri Nouwen was my outer teacher in that I had read his books, I had seen him speak publicly twice, and that night, he was one with my inner teacher, my inner guru -- the inner and the outer became one. He died his bodily death about a year later, and it was long before I saw the film, the document of how he intended to make his life and death a gift, the greatest gift ever, the gift of living here, now, present to the present moment. Thank You Henri. I love you.